It seems that nary week goes by without a clever new custom bike build from an authorised bike dealer appearing in our overworked inboxes. 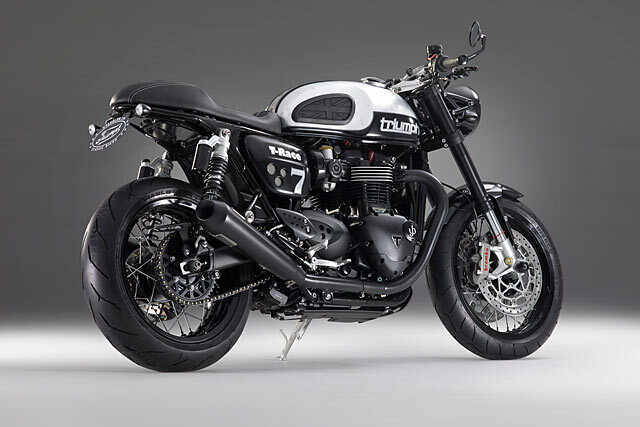 Especially prevalent in Europe, it seems that their in-house access to bikes, mechanics and a shipload of spare and aftermarket parts sets them up for some pretty prime builds. And tonight’s bike is no exception. 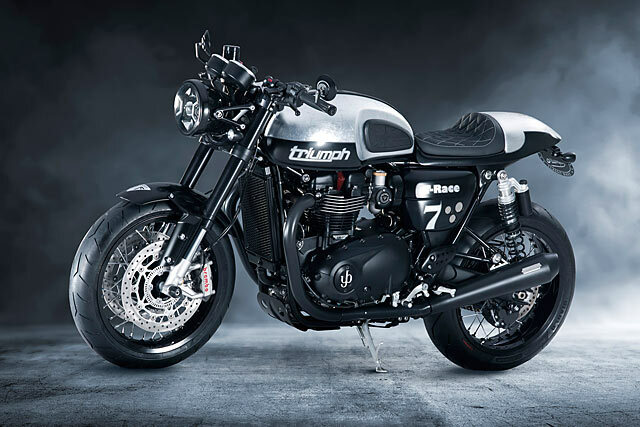 Made by Switzerland’s Städler Motos, it’s a delicious new Triumph Thruxton R cafe that’s been given just enough warming-up to make all but the fussiest Swiss Triumph fans feel all warm and gooey inside. Städler Motos AG was founded in Widnau, in Switzerland’s North East, in 1980. Originally a Suzuki, Ducati, Cagiva and MV Augusta dealership, in 1994 they became one of the country’s first Triumph agents. In 1996, KTM and Ducati were added to the roster. 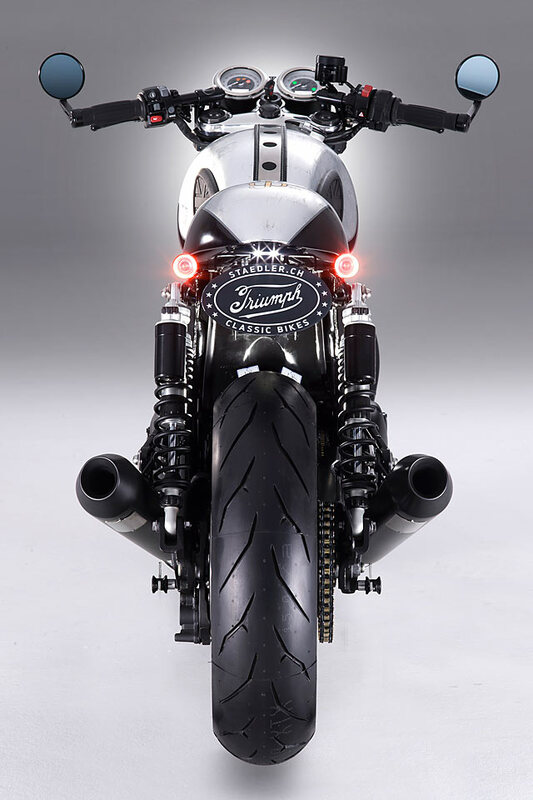 The design for this bike was created by Bernhard Städler, the company’s owner and founder. In fact, most of the work was done by him in his workshop. 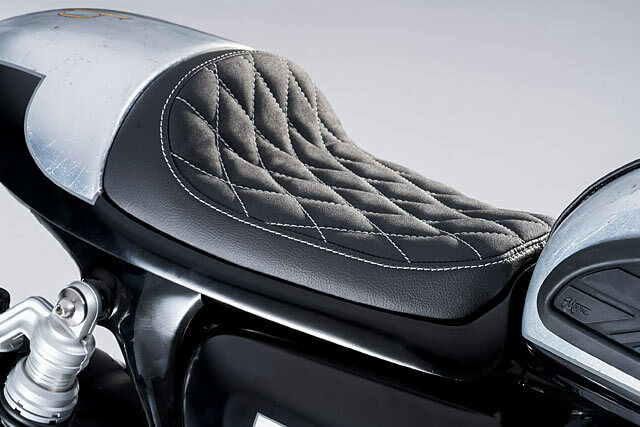 Since they began, Städler Motos’ main passion was customising. It’s in their blood, and the customer’s have come to realise this, too. The origin of this bike is from a customer’s spring 2016 order. They bought the bike straight off the showroom floor and asked it to be cafe‘d on the spot. The only strict requirement from the customer was that it was to be unique. So it quickly became clear to Städler that they would be producing quite a few custom-made bits before their job was complete. And because of the many specially designed parts, the time span for this project was set at 8 months. As with their German and Austrian neighbours, the focus of all the Städler custom projects is for them to be street legal. No easy task, if you’ve ever delved into the world of the Technischer Überwachungsverein, or TüV for short. The upshot of all this means that wild mods are a large fine waiting to happen, while subtle ones are much more likely to get under the radar. 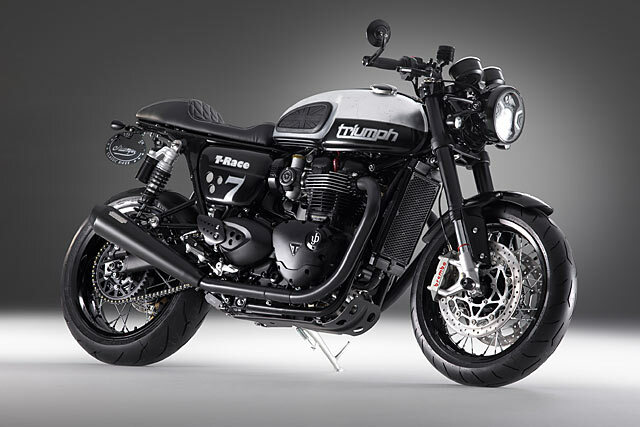 Since the Thruxton’s standard suspension was not as adjustable or as slick as the new owner would have liked, the shop developed a completely new set-up in cooperation with Andreani Italy. The new suspension offers a much larger adjustment range than stock, along with a more refined response when pushed hard. 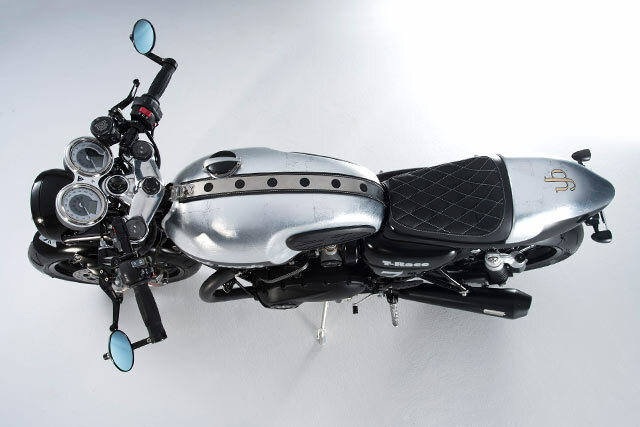 As they wanted to shorten the entire rear section of the bike, a completely new seat and cowl was made in conjunction with sidecar champion Charles Meierhans. 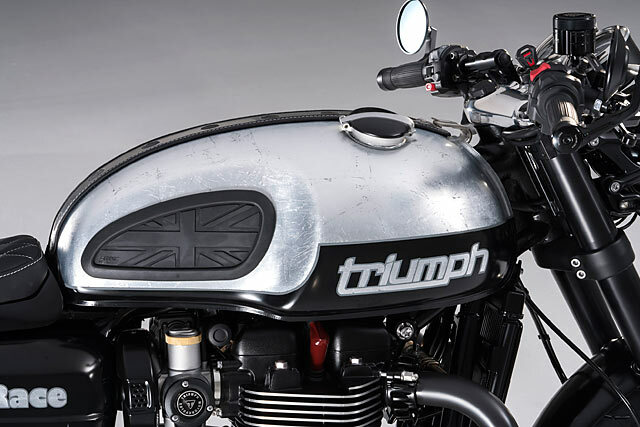 Flat and with a classic cafe racer seat, the set-up really stands out from the stock bum bench. And the elaborate metal leaf lacquer in silver with genuine gold detailing was perfected by Peter Herschmann of Chopper Airbrush in Austria according to their detailed specifications. Let’s not beat around the bush, it’s undoubtedly for attracting attention. Then the swingarm and suspension struts were powdercoated black, and any other pieces that missed out were sent for black anodising. Next, a very expensive day out shopping bagged the team a new exhaust system from Vance & Hines in ceramic black, some black wheels and several other parts from Triumph themselves, a set of Motone kneepads, a neat pair of LSL ‘bars, a Pazzo clutch and brake lever, a new LED Headlight with a daylight setting, two Kellermann rear combo lights, and a pair of Motoeleven mirrors to wrap things up. Sounds better than Christmas and your birthday all wrapped into one. 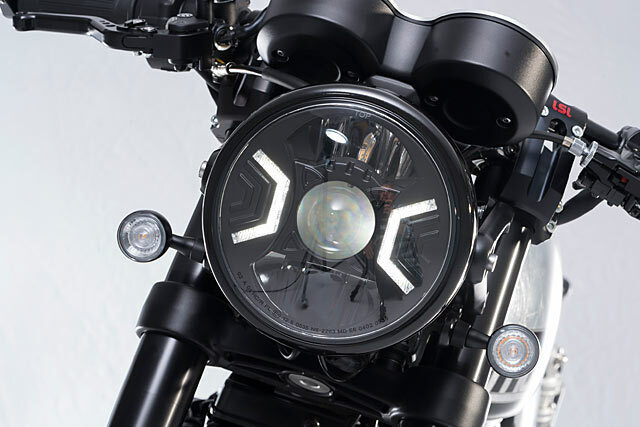 Developing a suspension set-up that is even more refined than the Triumph engineers’ own was always going to be a massive challenge. And as the specialists were in Italy, is was certainly a mammoth task of coordination, too. The final seat unit was made from several detailed prototypes, and it demanded a certain endurance in order to see the idea through from start to finish. And Städler Motos greatest pleasure during the process? Perhaps it was the moment they presented the finished bike to the customer. 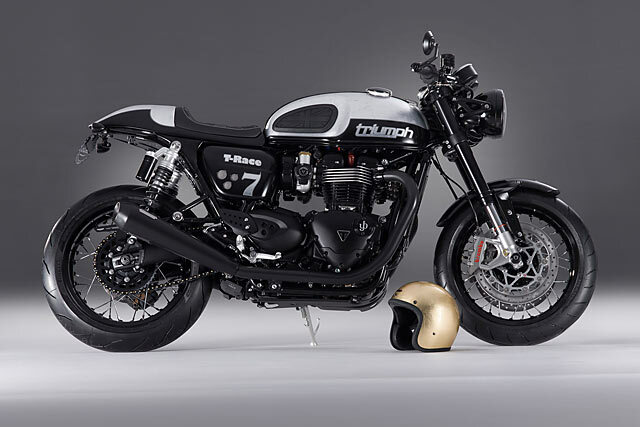 On that fateful evening, the eloquent company manager became a stunned boy, who reportedly couldn’t avert his gaze away from his new cafe racer for more than an hour. Now that’s what we call a satisfied customer.